"The last few years residential investment purchase property transactions have largely been dominated by all cash investors," stated Mat Ishbia, president and CEO of UWM. "Our Investor Edge program helps level the playing field by giving investors alternative options to an all cash transaction. The launch of Investor Edge is yet another innovative product that helps our partners better compete in their local area markets." The Investor Edge program provides UWM’s broker partners with a unique opportunity to increase their businesses by catering to a niche segment of borrowers. UWM says that similar to commercial financing, there is no need to verify personal income with Investor Edge and the debt-to-income ratio is based solely on the proposed cash flow for the subject property. – Unlimited number of financed properties. – Approval based on cash flow of property. – Loan amounts from $75,000 – $1,000,000. – Verification of employment history only. UWM’s partners can log into its EASE web portal to run product eligibility and pricing on borrowers that are a good fit for Investor Edge. 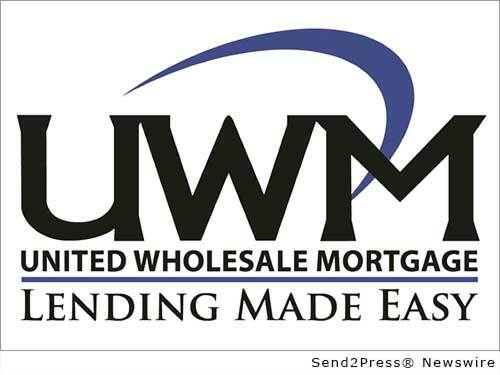 The program can also be accessed by UWM’s award-winning UMobile application for Apple and Android Devices, which gives brokers real-time access to status updates, the ability to lock loans on the go, communicate with UWM underwriters, and more. Interested parties can learn more about UWM’s Investor Edge program by contacting the company at 800-981-8898 or by visiting http://www.uwm.com/. Original Keywords: Mat Ishbia, EASE web portal, UMobile application, closing documentation for residential mortgage loans originated by mortgage brokers, banks, credit unions and correspondents United Wholesale Mortgage Troy Michigan TROY, Mich.
REFERENCES: Banking News, Mat Ishbia, EASE web portal, UMobile application, closing documentation for residential mortgage loans originated by mortgage brokers, banks, credit unions and correspondents United Wholesale Mortgage Troy Michigan TROY, Mich.